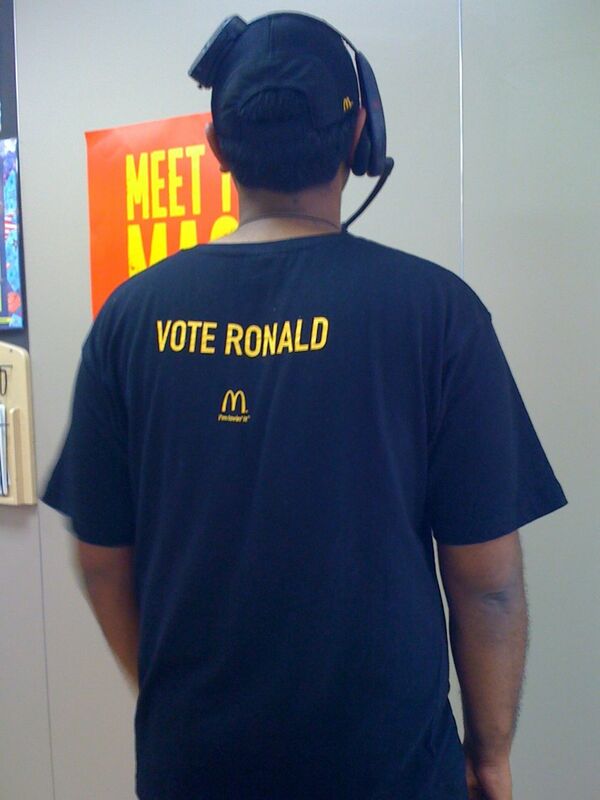 I’m lovin’ McDonald’s new t-shirts, this one pictured in the wild yesterday, at Newmarket in Queensland. Thumbs up, McMarketing Department! You’ve made the world’s uncoolest mascot, so very hip. Thank you to the brave man who agreed to this photo being taken. 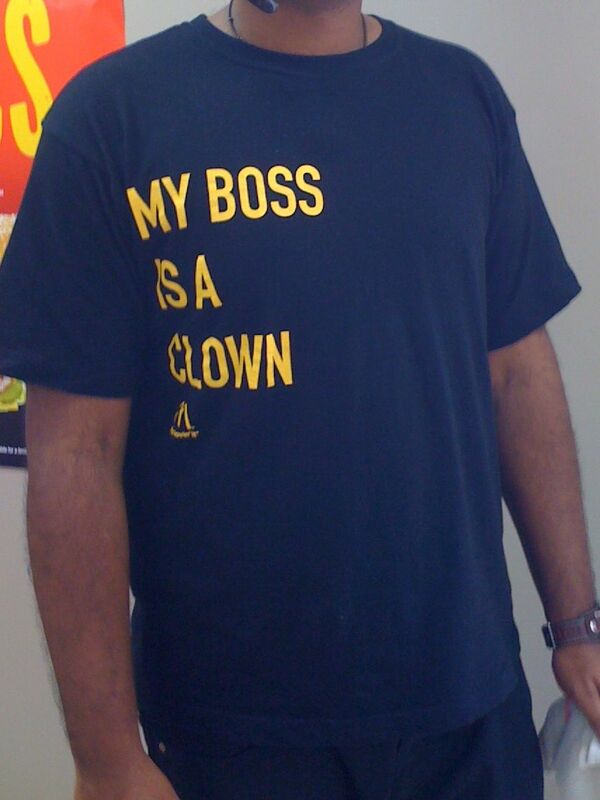 Your commitment to the clown is exceptional!